1. 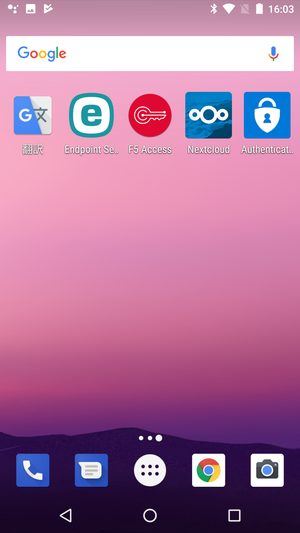 The initial step is to obtain the secret encoded key to use for setting up the 2-step authentication. 2. 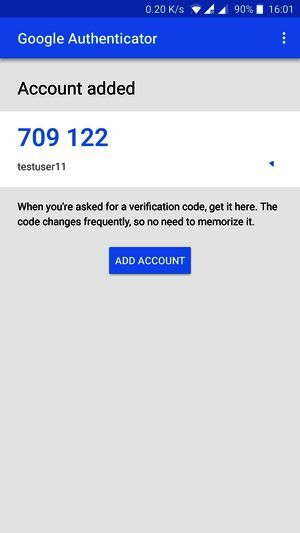 The second step is to set up the 2-step authentication system so as to obtain the one-time password. You can choose to use either, the functionality is the same. 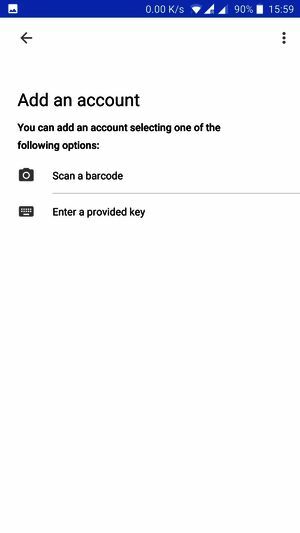 If you are guest users such as graduates, please see here before accessing 2-step verification registration system. After log-in, register for OTP to acquire an encoded private key. 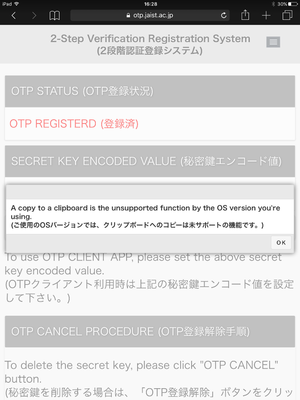 Please click the button labelled "OTP REGISTRATION"
When the OTP is registered, the encoded value of the private key is displayed. 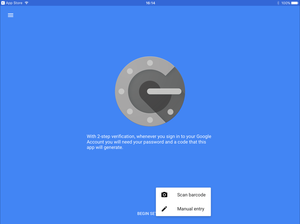 Since this encoded value will be used by the application of two-step authentication later, please copy it to the clipboard or temporarily save it. When you press the "copy to clipboard" button, the encoding value of the private key is automatically copied to the clipboard. 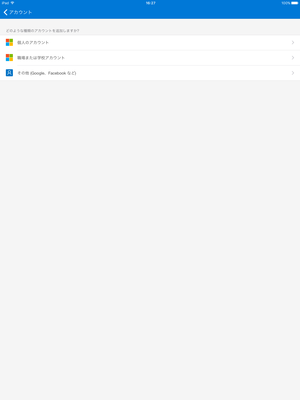 ※For iOS prior to version 8, the copy to the clipboard function can't be used. In this case, copy the encoded value of the displayed private key another way. 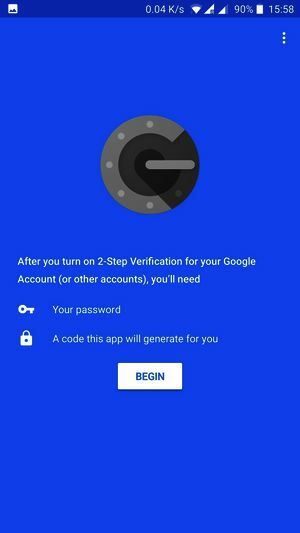 In case it is not possible to continue using two-step verification, as in the cases of a terminal failure, application deletion or the key getting revealed to a third party, it is possible to re-generate the private key. In order to generate a new private key, it is necessary to delete the private key currently in use. 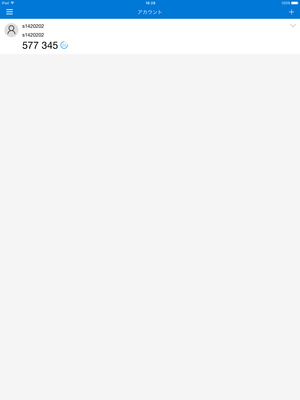 Press the "OTP registration cancellation" button to release the encoding value of the current private key. 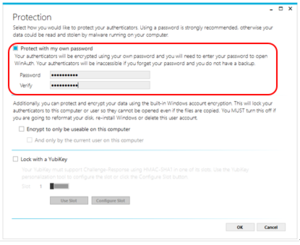 Then, proceed to step 1 to re-generate the encrypted private key. 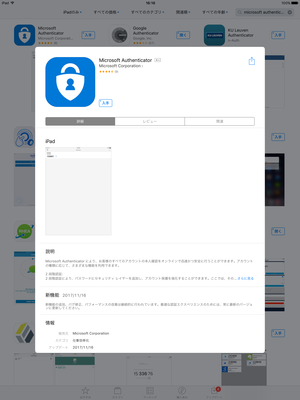 Find and install「Microsoft Authenticator」from the App Store. 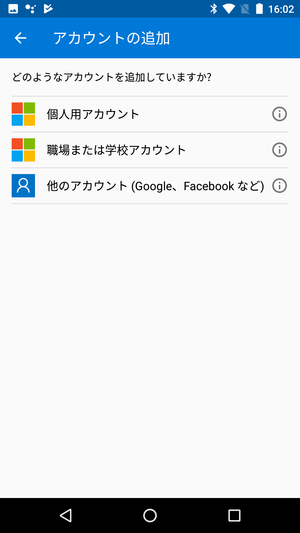 Please skip the initialization wizard and choose "Add account". 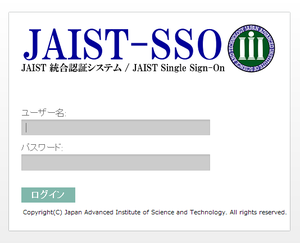 Enter your JAIST user account name in "Account" and the encoded secret key value in "Key". The set up is complete when the following screen is displayed. A numerical value will be displayed as the one-time password. It will automatically be updated periodically. 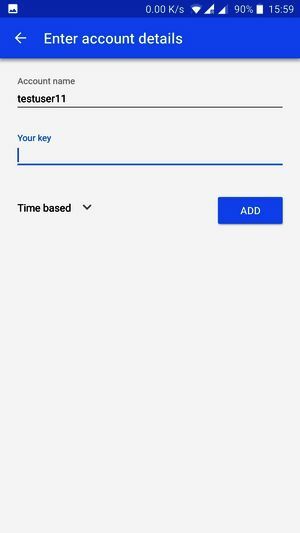 Afterwards, whenever the application is started, the authentication system and the one-time password will be displayed. 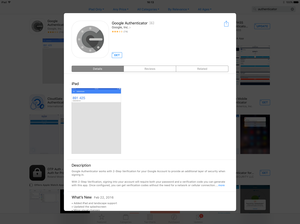 Find "Google Authenticator" on the App Store and install the application. 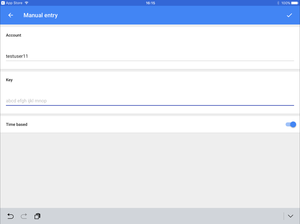 Open the application and choose "Begin Setting" at the bottom of the screen then select "Manual entry". 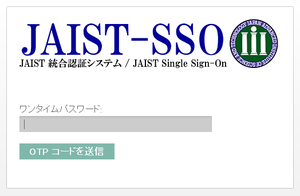 Enter your user account name (JAIST account) in "Account" and the encoded value of the secret key in "Key". 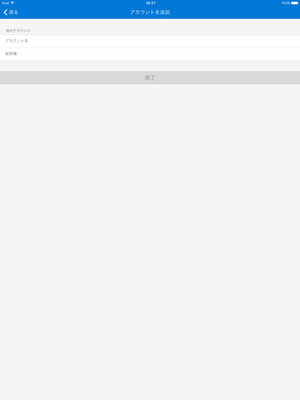 The setup is complete when the following screen is displayed. A numerical value will be displayed as the one-time password. It will automatically be updated periodically. Later, you only need to open the authentication application and the one-time password will be displayed. Open the application, select begin to configure the application. 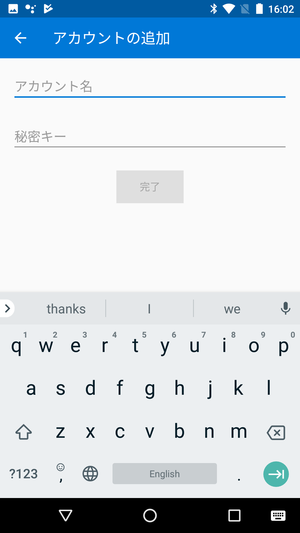 Please select "enter a provided key"
Please enter your user account in "Account Name" and enter the encoded key value of secret key in "Key", (JAIST account , not Google). 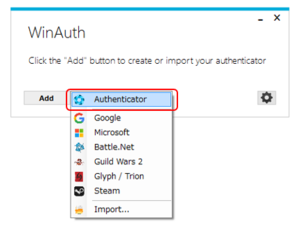 For Windows, You can set up 2-step authentication with the application "WinAuth". Download "WinAuth" from this link. 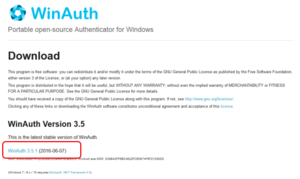 After downloading, please Accept and run WinAuth (No installation is required). 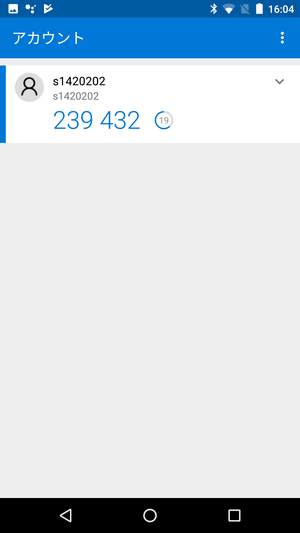 Once its running, to register for Authentication, click on the "Add" button and select "Authenticator". 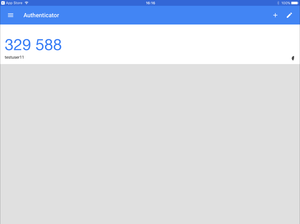 The Add Authenticator screen will appear. Name：It is used to distinguish the from other added certifying accounts. Please enter any arbitrary name. Next, Please enter the encoded the secret key value you have obtained from the top steps. 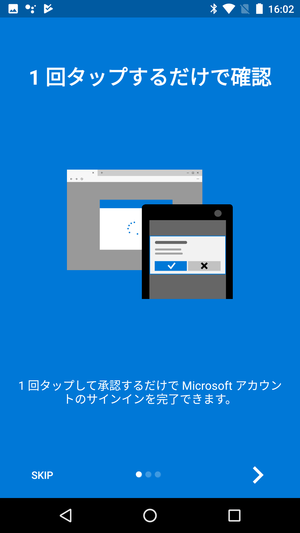 For the authentication method, please select「Time-based」. 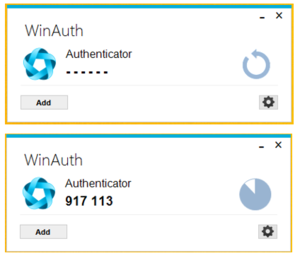 This completes the initial setup for WinAuth. Once you log in, click on the round arrow mark on the right corner of the screen will display the One-Time Password (6 digit number). 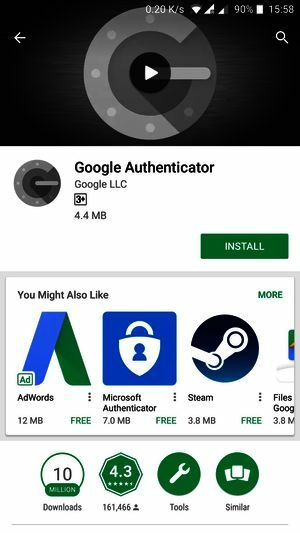 Next, you will be redirected to the One-Time Password Screen．Please launch your two-step authentication application as above (WinAuth or Google authentication application). Obtain the one-time password (passwords have a time limit) and enter into the browser form within that time limit.